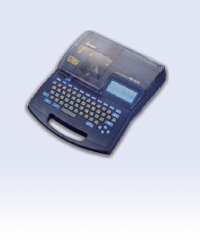 Indian Barcode Corporation since 1997 is one of the largest Manufacturer, Distributor of the barcode printers, Barcode Scanners, Ferrule printers and their consumables. We Indian Barcode Corporation(http://www.indianbarcode.com) are the Authorized dealers of the Canon ferrule printers. Canon-Japan make Ferrule Printing Machines (Cable ID Printers) are the best in the industry having ample features of high quality crisp and clear printing on a diversity of media. This best in class Ferrule Printers can print Medias like PVC Tubes, Label Tapes , Heat Shrink Tubes, Wrap around Tapes, ID Strips, Marking Strips etc required for Cable & Panel Component identification in various industries like Control Panel Manufactures, Industrial Automation, Electrical Projects, Harness Manufactures, Networking in IT sector, Railways, Aerospace, Shipyards, Power Plants etc. Canon Ferrule Printing Machines are comparatively beneficial in consumable cost and gives you world’s best PVC tube & Label printing quality with durability. 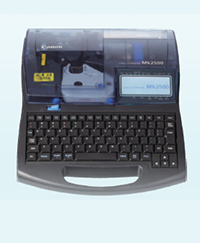 It has Direct USB Interface (full speed) PC linkage which helps the user an error free and speedy production of ferrules by transferring direct excel files to the printer. Compact designed Printer weighs only 2kgs., easy to carry to various job sites. Compact designed Printer weighs only 2kgs. Easy to carry to various job sites. In case If you are a fresh buyer of Ferrule printer from us, and are not confident about the quality of the printer please try the demo free of charge.